This badge was issued to Charles Eubanks on 03 Mar 2017. 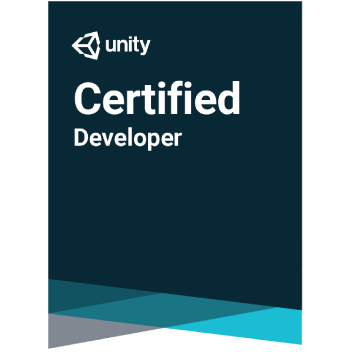 Earners of the Unity Certified Developer badge have the foundational skills necessary for making a game with Unity, spanning key concepts in both technical art and programming. These earners have the core skills required for successful game design and coding.